Parts can be Changed by Administrators or Technicians. Click the "Parts" tab in the Menu bar then click "View/Edit". 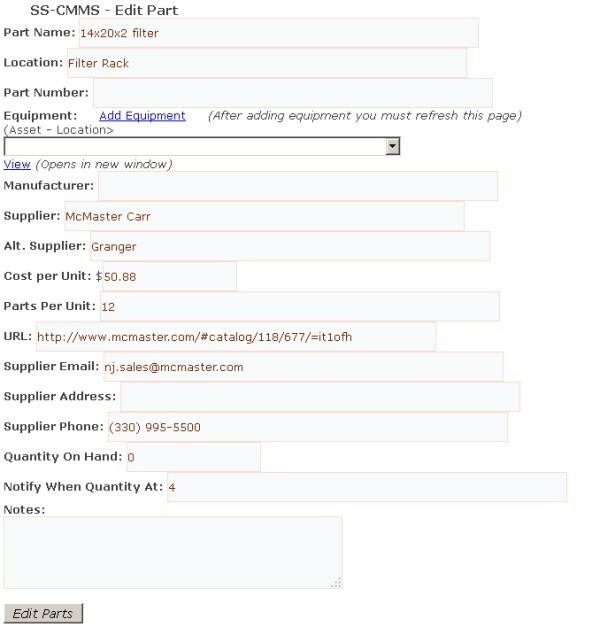 You may then Search for parts by entering words into the Search Parts text box. After clicking "Search", click "Edit" at the right of a part entry. To Delete a Part, click "Delete" to the right of any entry (Administrators Only). You can change any of the part information you wish. Copyright © Rob Cochran Enterprises LLC 2019.